Well happy FRIDAY! I hope you haven’t fallen over. It’s true, I’m posting more than once this week but I had to share these cute bags I made using the Gift Bag Punch Board. I decided to make some cute treat bags for some teachers at my daughter’s school. I used old and new supplies and I’m happy with the way everything came out! These are super easy to make and fun! And I’m thinking they’ll like the Ferrero Rocher chocolates inside. 😉 Thanks for stopping by! Think ahead friends and make your own bags for Christmas! Shop with me for your supplies here! 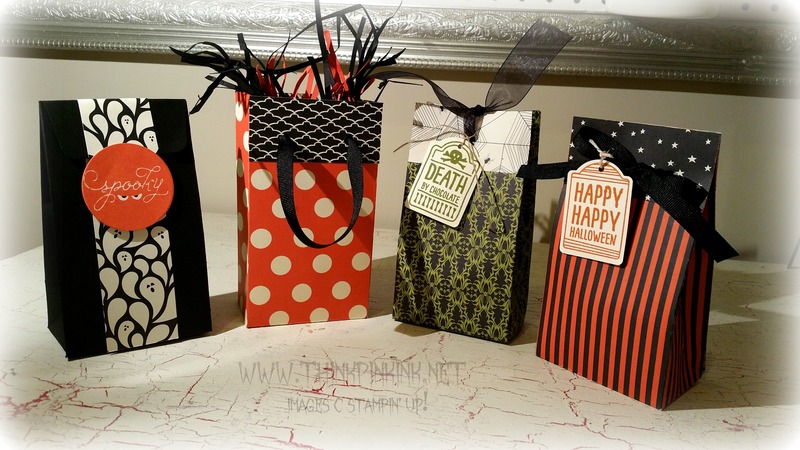 Here is a great tutorial on how to make the gift bag topper!